RBC Bioscience Corp. is a ISO9001 and CE(IVD) certified global manufacturer of automated robotic systems for DNA/RNA isolation and produce a wide range of Life Science and Molecular Research products. RBC's product portofolio include high quality kits for nucleic acids isolation, PCR reagents and molecular cloning systems. Their philosophy is to produce the highest quality, superior molecular biology products without the premium price tag. If you would like to discuss your lab requirements or would like to trial our samples, please contact us. RBC's Genomic DNA Extraction Kits provides a fast and economical method for purification of total DNA (including genomic, mitochondrial and viral DNA) from animal and plant tissues, whole blood, plasma, serum, buffy coat, other body fluids, lymphocytes and cultured cells. RBC's Real Genomics™ Plasmid DNA Kit is designed for rapid isolation of plasmid or cosmid DNA from bacterial cultures. The kit contains all the necessary buffers and reagents, making it an extremely straight forward and cost effective solution. RBC's HiYield™ Gel/PCR DNA Fragments Extraction Kit is designed to recover or concentrate DNA fragments (50bp-10Kb) from agarose gels, PCR or other enzymatic reactions. The unique dual purpose application and high yield DNA / minicolumn makes this kit an exceptional product. 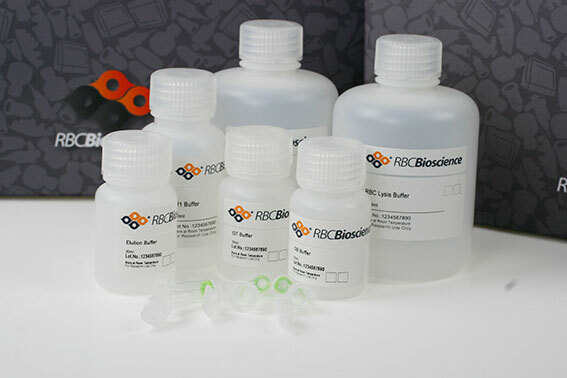 RBC's RNA Extraction Kit is specially designed for rapid purification of total RNA from animal and plant tissues, bacterial, cultured cells and whole blood. It's clear and rapid protocol makes these kits an essential item to have. The Viral Nucleic Acid Extraction Kit is specially designed for purification of viral RNA/DNA from cell-free samples.